Winter is over. This means that it’s high time to draw a line and see what was in the biggest demand with web design fans during the last winter month. We looked through the download stats on our site and came up with a list of the 15 most trending templates for February 2017. All of them vary in their style and purpose of use. Some of them are niche-specific, while others can be applied to a variety of web projects at a time. 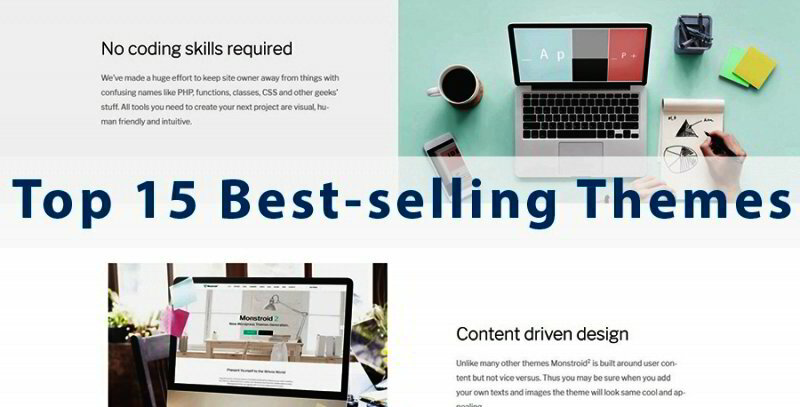 All available for download from templates.com collection, they guarantee a top-notch presentation of your content to the highly demanding web community, as well as high level of visibility in the search engines. So, let’s get straight to chart. This a powerful and feature-rich template coming with frequent system updates. The theme includes 9+ custom skins, premium widgets, and plugins, which are intended to extend its functionality to a great degree. This is a multipurpose template suited for literally any web project you can think of. Highly flexible and dynamic, it can be managed by the users of different backgrounds. The theme is designed to appeal to extreme sports lovers. It features a dynamic and straightforward design. This layout brings together amazing visual appeal with truly useful navigation in order for your online resource to work properly and satisfy the demands of your target audience. 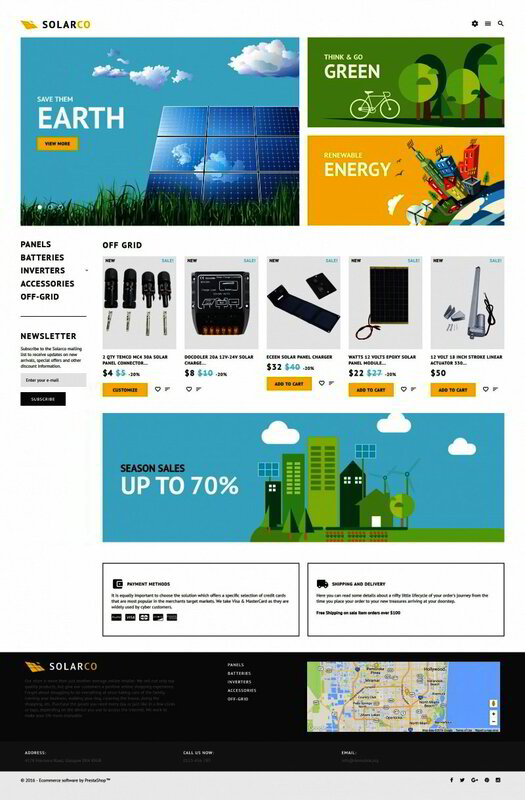 This web template is enhanced for browsing on all gadgets. This simple layout grabs clients’ attention to essential details. The theme will come especially handy for industrial and agriculture sites. The design looks really powerful and energetic due to the chosen color palette and quality visuals added to the pages. Visitors will obviously enjoy the pleasant user experience offered by intuitive navigation and wise structure of the layout. WordPress is already a sensible alternative both for personal and business internet sites. With this industry WordPress theme, it will become two times as effective. Use this particular template to bring a professional and reliable presentation to your business or financial project. 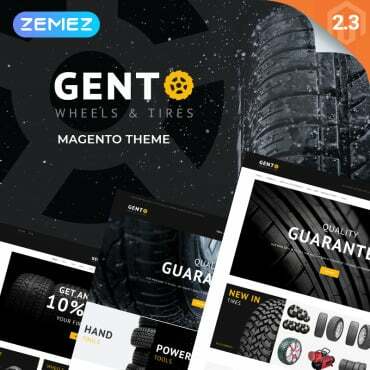 It will not cost you a lot of time and effort to modify the template since it comes packed with advanced features plus beautiful font and color selections. Clean, valid coding and well-done guidelines will help you in adjusting this WordPress template the way you want. If you wish to establish a good, beneficial web page, use WordPress theme for business with readable texts and appealing content sections. This is one of the numerous child themes include into the pack of Intense multipurpose HTML5 template. This particular design will be a perfect match for those of you looking for a rock-solid foundation of CV or portfolio sites. Featuring a clean style, it looks really well-balanced. The focus of attention is brought to the site’s content, the benefits of dealing with your business, as well as the way to get in touch with you. 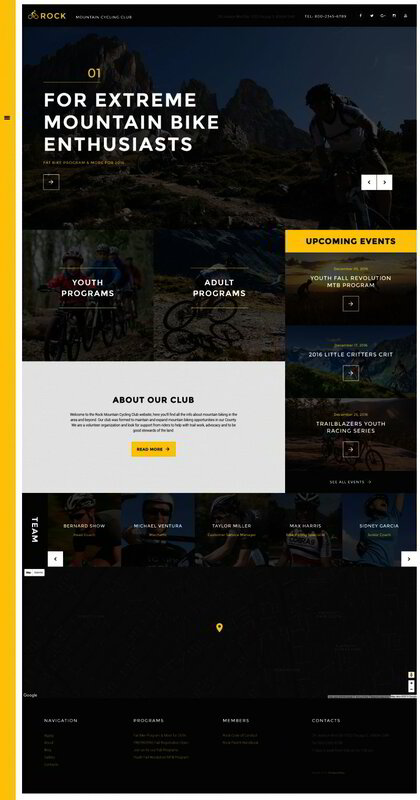 Here is a ready-made theme suited for everyone who is fond of sports and active lifestyle. A dark color scheme with canary yellow elements looks really captivating and dynamic. 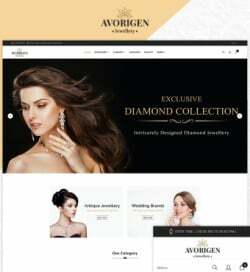 All elements of the theme’s design are fully editable and can be managed without any deep coding skills. Travel and hotel sites will look professional and reliable when built with the help of this theme. It comes integrated with an advanced search form, making it possible to come across the desired piece of content hassle-free. 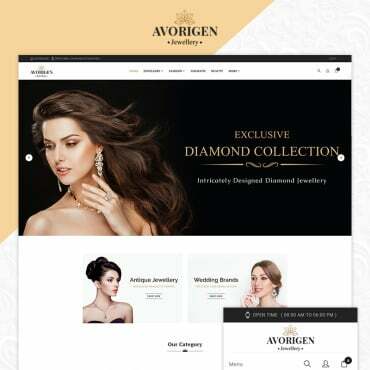 Thanks to its fully responsive layout, the theme makes all content that you share accessible to the owners of both desktop and handheld devices. If you are searching for a lovely website layout that would grant your web resource a pro appearance, then you should think about this Joomla web design. Here is a basic and stylish bakeshop Joomla web theme that can be used for wedding, flowers or cake decorating shop web pages. Most of the theme functions can be customized right away with WordPress customizer. The design uses the newest web development standards, so you can be certain that your online business will run without problems on any current gadget. Pet lovers will enjoy this theme. It can be used for both personal and business projects. Veterinary clinics will also look smart and professional when built with its help. If you want to promote your site effortlessly, this responsive and SEO-optimized web theme can be a great solution. It was made in accordance with the key SEO standards, which could let you improve your rankings on the search engine results. The elements are smartly organized to guide the users seamlessly around the site and highlight the key details. Here is one more rock-solid solution for building financial site of any level of complexity. A drag-and-drop content editor makes the theme easy to handle for both beginner and pro users. Your site visitors will easily find out what you are and what you do thanks to informative content sections with vivid visuals showing your offerings. A comprehensive documentation directory, as well as free round-the-clock support, are included. 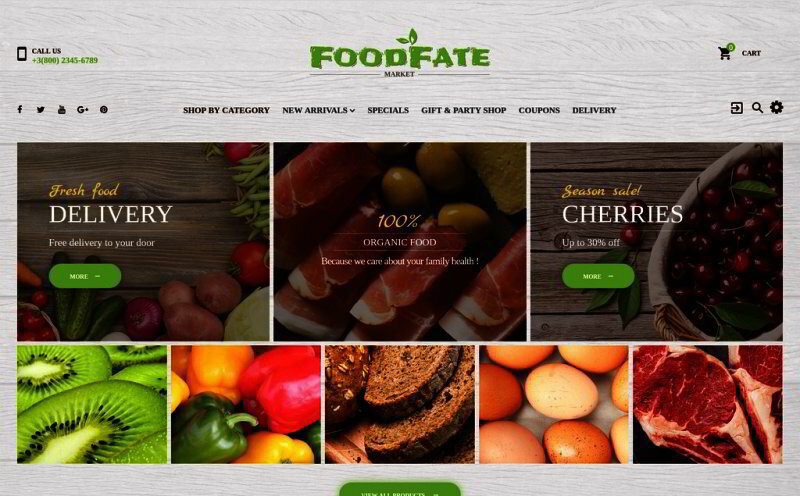 Use the theme to bring an appetizing online presentation to your food relates products. Thanks to the smartly designed CTA buttons and quality images, the users won’t resist the temptation to purchase something from you. The theme is pre-loaded with custom page templates for presenting additional data about your company and the things it sells. Smart online shopping options are traditionally included in the pack. 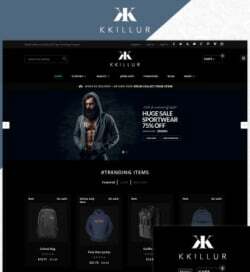 If you want your site to be top-notch, reputable and easy to utilize, benefit from this responsive PrestaShop template. Use this theme for designing fully functional sports, travel or fishing shops. This template’s responsive layout will provide users with flawless browsing experience across all gadgets. Well-documented and featuring cost-free round-the-clock support, the particular web theme will help you get moving with your internet project in no time. The use of this template can open brand-new opportunities for industrial sites. This is actually the one that absolutely fits the objectives of your project. If you want to construct a successful online project with PrestaShop, you need to utilize a powerful and fully-fledged website template, supporting special functionality. Combined with an elegant appearance, the template boasts helpful though user-friendly functions. Additionally, its 100% responsive layout will be accurately shown on any gadgets. The winery WordPress template is built by a team of skilled professionals, so it will make any website work to its maximum potential. 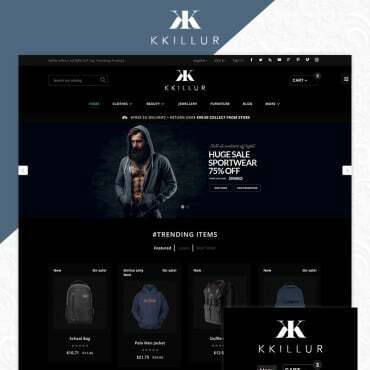 This clean modern template is very simple and easy to customize to meet the needs of a variety of food and drink related eCommerce projects. If you want your company to be recognizable on the web, then you should select this WordPress theme. The bundle contains sample data, which means that after the installation your web page will be just as the live demo. A welcoming customer assistance squad is accessible 24/7 100 % free. This is the last, but not the least ready-made solution on the chart. It will appeal to those users looking for inner harmony and relaxation. A number of sports-related web projects will look sleek and appealing on its basis. Totally responsive, this theme is compatible with a multitude of up-to-date devices. Because the web theme is optimized for the search engines and compatible with modern-day internet browsers and their most up-to-date versions, web surfers will easily come across your internet site. These were the 15 most trending themes for the last winter month. Spring has come. This means that it’s high time to upgrade your site with a fresh look. This is when such trendy and professionally-built design can come in handy. Check out their technical details, watch live demos, and come up with a solution that will match your project ideally.